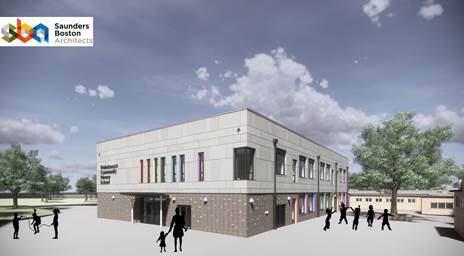 The Cambridge-based architects has provided full architectural design and lead consultant services, working alongside Kier Construction for the new development, which will include a two-storey teaching block extension consisting of 12 classrooms, a group room, an improved and extended main entrance, and revised landscape and interior design. 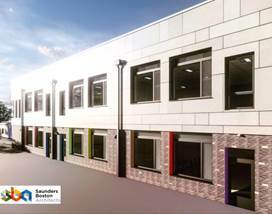 Alongside the colourful exterior, Saunders Boston Architects also designed an inspirational ‘learning street’ which will connect the classrooms and provide a moment of reflection for students between classes. When designing the school, Saunders Boston Architects used a number of technologies such as Building Information Modelling (BIM), virtual reality (VR), and architectural modelling to bring the designs to life. The use of such technology not only benefitted the design process, but was also used to inspire the school’s students, who were invited to visualise their dream school through the use of VR – potentially inspiring the students to consider a career in architecture or design in the future. Previous Enter the bright ideas challenge today for your chance to win £5,000! Next Why are Schools in the UK Struggling with Security?